My plant of H.E.Collins. This is a new angel bred by Mick Collins of Wisbech. 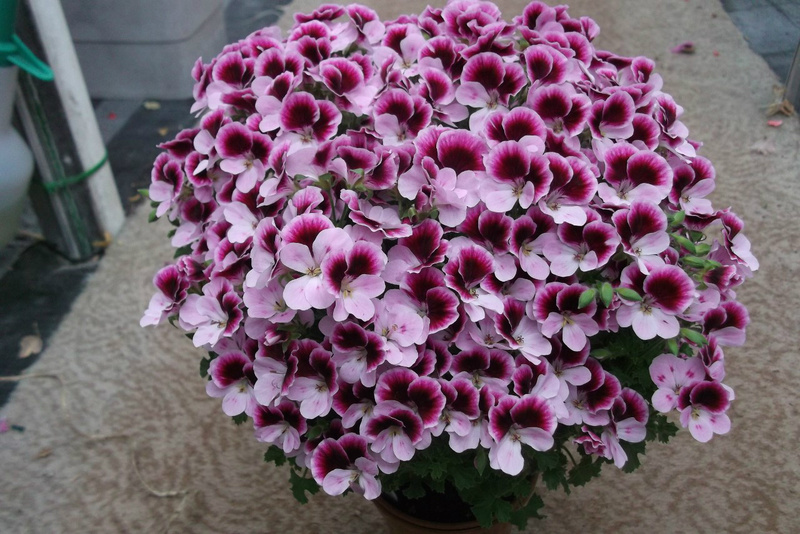 With careful stopping it will make a superb plant for the show bench in a 6" pot class. This is a photo of an angel new to the scene, bred by Mick Collins of Wisbech. I was very impressed with the amount of flowers I managed to get on this 18 month old plant grown in a 4.5" pot. 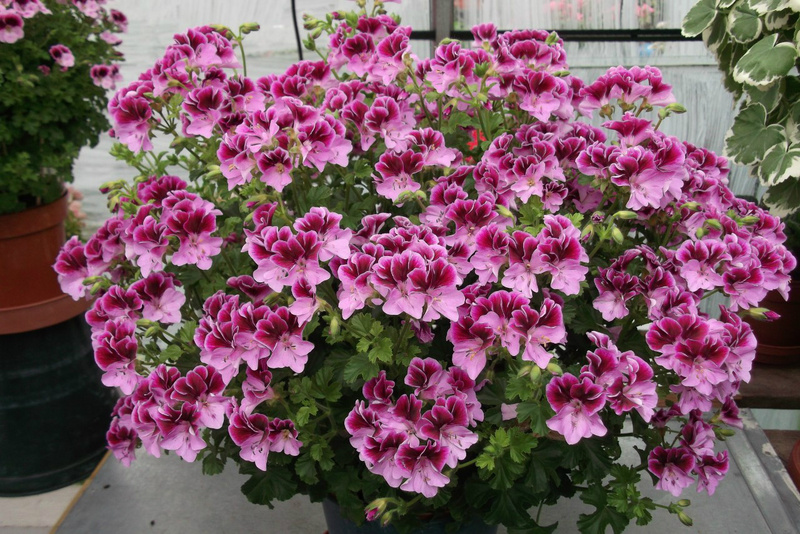 Angel Berkswell Pixie grown in a 3.5" pot. This was my first attempt at stopping one this small for the showbench. To get this size head it has to be kept really tight so it holds its shape well. 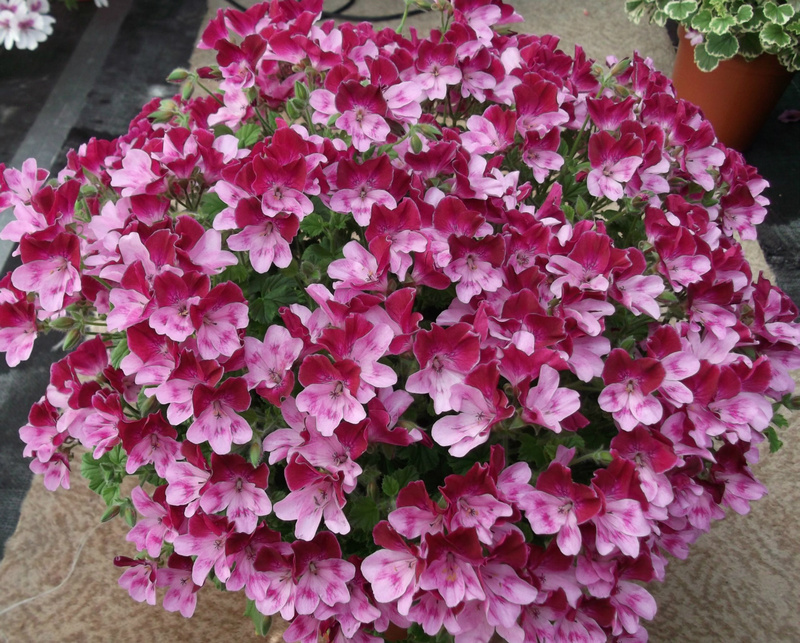 The best cultivars to try growing as miniatures are the ones with the small flowers. 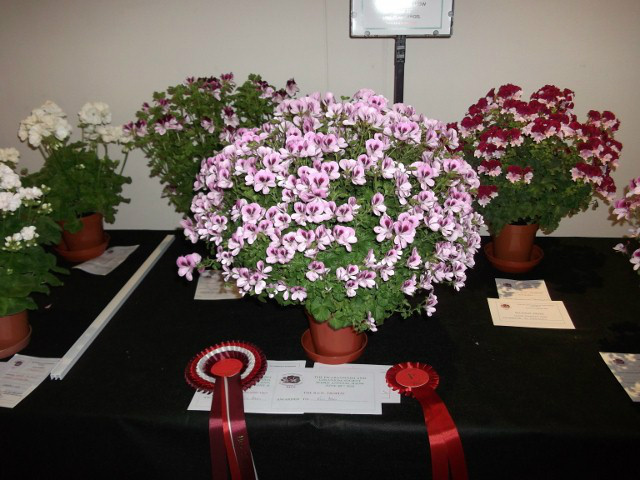 My plant of Quantock Kirsty which was awarded the 'Best In Show' at the PAGS National 2011. This was held at the Weetwood Hall Conference Centre and Hotel in Leeds, West Yorkshire. 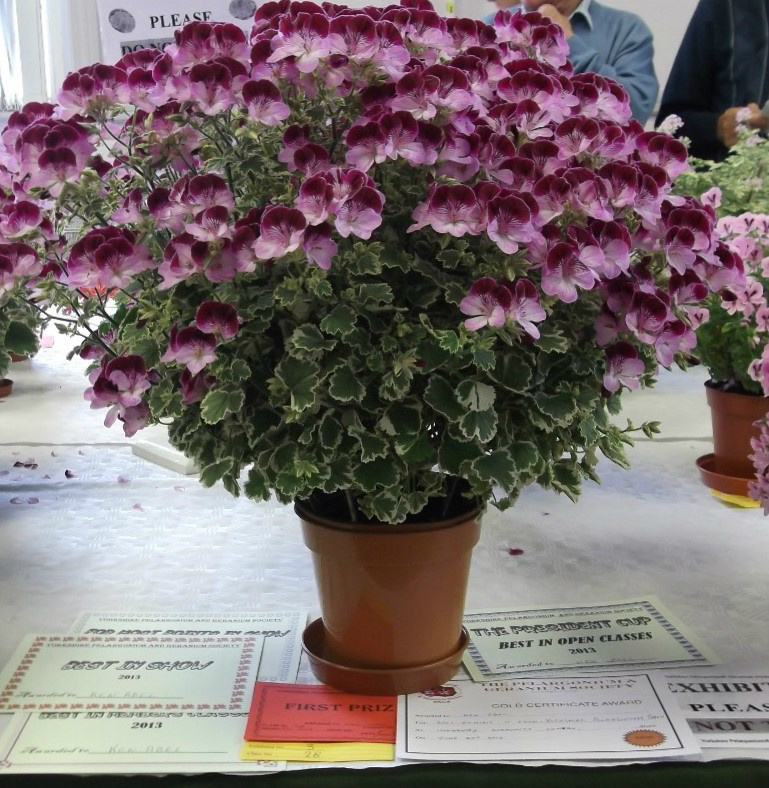 I won 'Best In Show' at the Yorkshire Pelargonium & Geranium Society Annual Show 2013, with this two year old plant of Oldbury Duet.